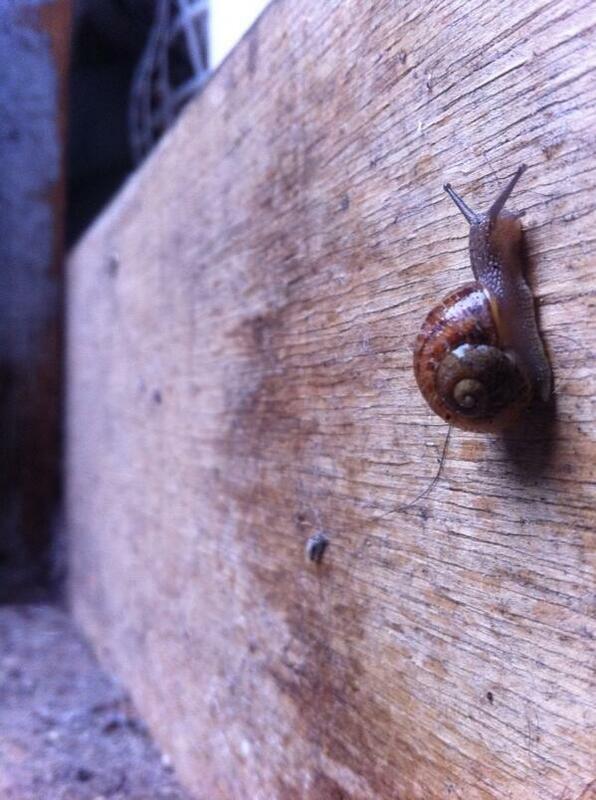 A snail climbs up a vertical surface. A familiar refrain to the disabled PhD student is that a “PhD is stressful”. This is said as if to point out something the disabled PhD student doesn’t know. Any PhD student knows this. Any PhD student who, on top of the standard demands of the PhD, must navigate the tricky terrain of a world not particularly built for disability, in bodies that don’t often co-operate, or whose co-operations occur sometimes at odds with the demands of the world, knows this. This is a landscape of relapses, flare-ups, surgery, recovery, accessibility problems, resource availability problems, resource accessibility problems, and more besides. This is a landscape punctuated by cycles of better or worse functioning. This is true for all PhD students, but many, if not most PhD students do not experience the severity of this as incurred by the PhD student with chronic illness or disability. Some times are smooth sailing, productive, stimulated-enough-but-not-too-much times. Such times happen, and they are wonderful. All PhD students encounter the trickier times; the times when inspiration is lacking, connections refuse to be made, and the words stop dancing from one’s fingertips so freely, if at all. Imagine, if on top of that, on top of the roller-coaster of one’s basic emotional and intellectual capacity to navigate the demands of the PhD, one’s body decided to get involved too. Even in a spectacularly productive phase, a flare-up might put a sparking, spitting mind in bed for a fortnight or more, unable to move, unable to bear light, unable to form coherent sentences in the world. Another kind of flare-up might suddenly dim the sparks, rendering them diffuse, hard to grasp, had to perceive any longer. Whatever their form, these times are frustrating. The work must be done, but no matter how hard one tries it cannot be done. Momentum slips from one’s grasp, and the flow of things dissipates. Even when things improve, these times take time to recover from. One begins with resolve to return to the work, to reach gingerly back out into capacities recently cut down by a relapse. This takes confidence, and confidence can be in short supply when your body buckles. Making gestures back into the world, the return to answering emails, to making phone calls, to reading, to writing, but not too quick, since this can push recovery back even further, or spike a more severe relapse. These are the slow times, the baby steps. In these times, we need support, not pressure. We feel the weight of pressure already bearing heavy across our backs: the lost time, the forgotten fruits of prior effort, the need to justify and negotiate our way through the administrative demands of our work, the deadlines, the other people’s expectations. This is not a time to be reminded of how few people finish their projects. This is not a time to be browbeaten by the prospect of failure, for our brows are already weary with the effort of trying to pull ourselves up from the ground to stand and make a stand in the world with our work. For we have earned the right to do this, or at least to pursue our golden opportunity to try, just as you did. Sometimes, our foreheads are bloody from persistently banging against the walls our worlds may throw up against us. These walls exist because our experience is testimony to the consequences of running headlong into them. The shape, height and location of these walls will differ from case to case. Sometimes there will be agents on the inside willing to help you clamber over them. Sometimes there will be whole-scale projects dedicated to their dismantling. Both are excellent states of affairs. Neither negates the existence of the other walls we have yet managed to tear down. We re-emerge from the cave of the body into the sunlight of the mind. Or so a romantic might suggest. It is inadequately acknowledged that students have worked hard to even get to the level of doing a PhD, or any other degree for that matter. It is also inadequately acknowledged that the people who choose such a path most often do it for love rather than mere utility, though both ends are equally noble. For many PhD researchers, the romantic is correct: the work provides a focus, a self beyond the machinations of the body, and the world’s reactions to them, writ so large across our day to day experience. In this respect, our mental life, rendered productive and contributory through our research, can be a form of sunlight in otherwise dark times. This, like other work, provides the break from the unvacationable. Despite this, all too often the disabled PhD student encounters ‘stressors’ beyond those imaginable by the non-disabled PhD student. With no sick pay, no additional funding available for extra years of study necessitated by dealing with health issues (as is available for undergraduates), our very status as disabled students can be enough to sink our doctoral aspirations. Chronic illness, as the name suggests, involves time, and not always time that can conveniently fit with the rest of the world’s schedules. And what of those without funding? And the limitations on our ability to physically “show up” does not mean that we don’t: they have no significant bearing on our ability to contribute beautiful original things to the world. We have the experience of working successfully according to our own strategies: we must do, for how else could we be here, now? We have strategies to get around these walls in our world. We need only your support, your belief, and your acknowledgement that the stories here speak to a state of affairs whose days should be numbered. We want to share the stories of people whose PhD experience has been shaped by disability or chronic illness. We’re a group of PhD students – some still studying, some interruption, others quit or time-lapsed out of the system – who’ve all been through it. Here we submit our stories to you. If you have a story, please send it to us. We’d love to hear it. Find out more about who we are and how to contact us us. Check out this new blog about the experiences of Disabled PhD students!